Go for the ultra comfortable look wearing the R13™ Breton Long Sleeve T-Shirt. Round neckline with frayed and distressed details. Distress, holes, and fraying for that worn-in look. 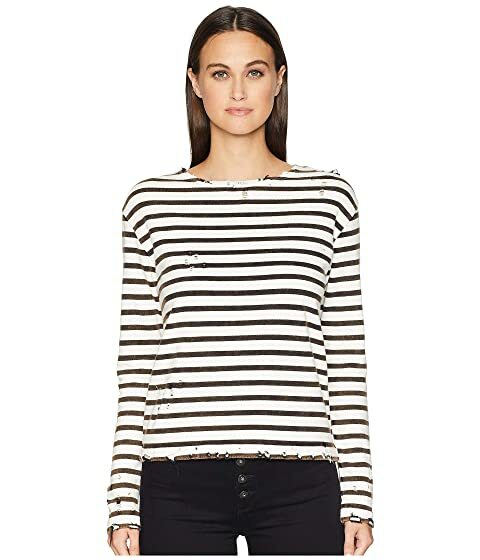 We can't currently find any similar items for the Breton Long Sleeve T-Shirt by R13. Sorry!